Color schemes don’t always have to be bright or bold to make a statement. Subtle, muted color palettes can provide a timeless beauty and create a clean slate to incorporate whatever new design trends come in the future. Here are 5 examples of style and sophistication with muted color palettes. Jay Nuhring, Home Stylist, worked his magic with grays, greens and creams, and accessorizing with color, creating a light and airy vibe in MyHomeSource’s beautiful model (#248) in the Spring Parade of Homes Tour. This muted color palette features subtle earth tones, mimicking the foggy San Francisco skies. 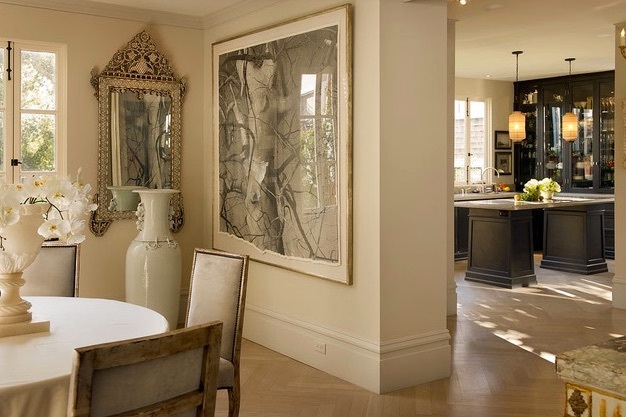 The pale gray oak herringbone floors add to the nature-inspired ambiance of the dining room. 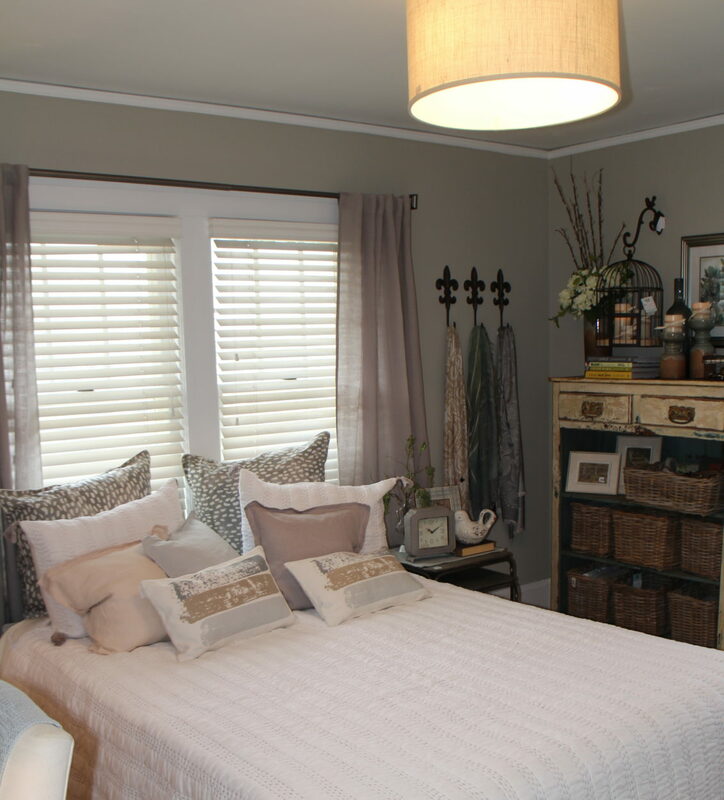 No need for accent colors in this bedroom when layering with textures. Wood, wicker, flowers, and metals add interest to this muted palette. The colors in the large-scale wallpaper pattern and bedding tie together the neutrals in the room for an overall feel of glam and soft sophistication. 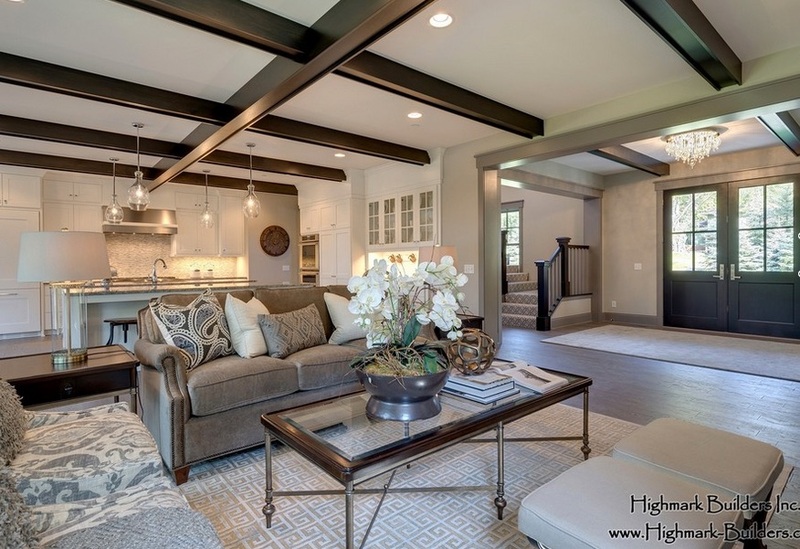 Neutral walls and carbinetry offset the bold wood beams to set the tone in this 2015 Fall Parade of Homes by Highmark Builders, and proof that muted colors can still have attitude. 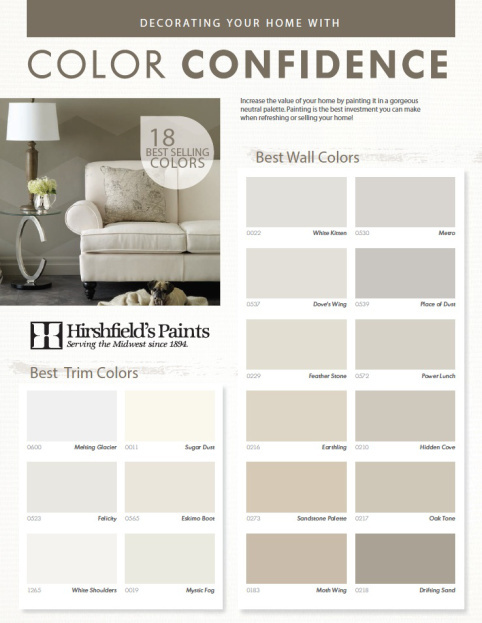 We’ve put together the best sellers and most versatile whites and neutrals for your viewing pleasure in the Hirshfield’s Color confidence card and Hirshfield’s Whites & Neutrals card. Need a second opinion with your color picks? Run your color choices by our staff, we love to talk about colors — even the muted ones.